You close your eyes, take a deep breath and open your email client. This time it's going to be different. But it's not. You still got a dreadful number of emails stuck in your inbox. Newsletters, spam, funny pics from your colleagues, all this ‘reply-all' stuff, and for sure some important tasks and emails you better not lose in this pile of garbage. So how do you stay productive then? The worst that could happen is to spend a great part of your day clearing and replying emails. This may create the illusion of productivity, but it's not what we look for. We want to be productive, not just busy, don't we? Fortunately, there are some fairly easy ways to stay on top of things. Here are a few simple rules which will help you to stay more efficient and reach that illusive and tempting Inbox Zero . So, you got inbox with dozens of unread emails. What you should do is to process them one by one, without skipping some of them. This will help you to keep up a good speed and tempo. Create your own schedule of reading emails. This process is very specific for everyone and depends and how many emails you normally receive. Start with 4–5 reading sessions per day and try to make it 1 or 2. If needed, use some other channels of communication with colleagues for urgent matters: say, chats or messengers. Don't check your email during your most productive hours (for someone, it's early morning), better use this time for something really important. Once you open an email, there are five options available. Pareto principle applied to our situation is telling that only 20% of all emails contain 80% of all the relevant and important information. In practice, the number of emails may be even less. To be honest, it's the hardest option to adopt. For some reason, we always believe we might need that email some day. Don't show any mercy to emails — they eat your time. This option is a ‘must', and you definitely want to use it (maybe you just don't know that yet). An important note: create a folder, named ‘Delegated': it's where you move all the emails with tasks someone could do better and quicker than you. Just forward it with the subject ‘Delegated' and don't forget to CC yourself. Archive button is indeed your best friend. If you think that some day you might need information containing in the email and want to be able to access it, it's your choice. Just don't create a complicated structure of folders. ‘Do' is that type of scenario when you take an action required from you in the email. To begin with, try a simple rule from Getting Things Done concept: if you can do something within two minutes — do it. A good example here is a simple request for permission or an easy and pretty standard question. If a task will require much more time, it makes sense to delay it for some time. Here's where we may need our next option. If something you're asked about in the email requires more than two minutes or some coordination with a third-party person, don't waste your time on it right now. Snooze this email for tomorrow, later today, or the day that suits you best. 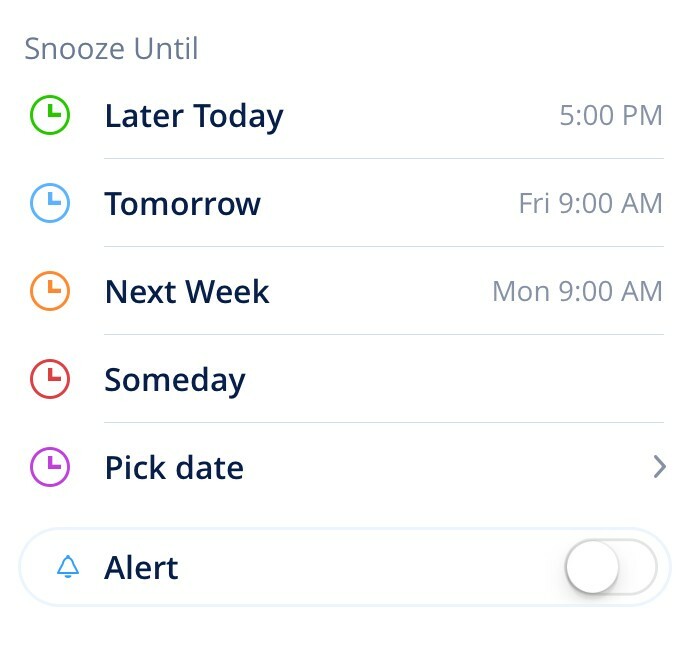 Snoozed email will appear the top of your inbox when the time is right. You have to process every single email this way. Don't be tempted to ignore an email and just leave it in your inbox. 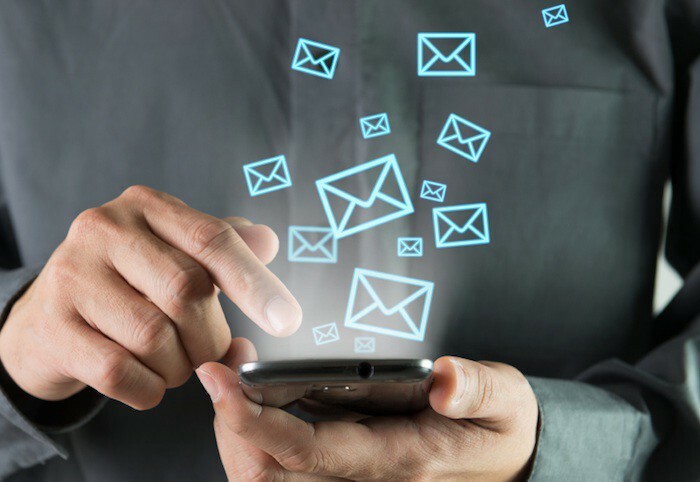 At first, it will require some time from you to classify what action needs to be taken with a certain email, but after some practice you will be spending no more than a few seconds on it. Hurray! In our Spark mail app we tried to implement all those Zero Inbox and Getting Things Done concepts. 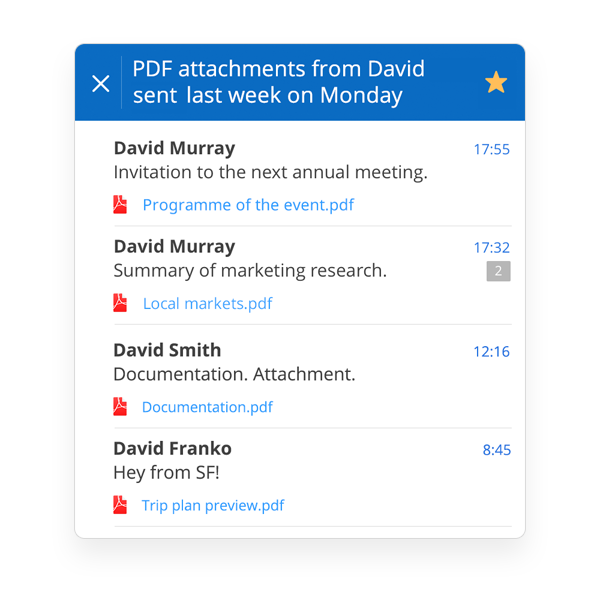 We already added lots of features to reshape your experience with an overwhelmed inbox. Here're just a few of them. When you deal with hundreds of emails and dozens of folders, quick and reliable search is what you need. Smart Search in Spark is using natural language input for fast & easy experience. Just tap on magnifying glass icon and enter ‘from Amazon last month' to see how it works. 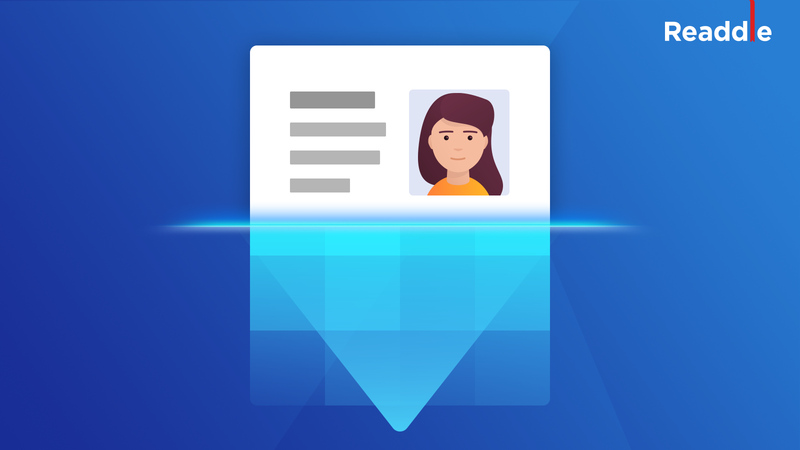 This way you can filter emails by email domain , date , sender , attachments and many more. Star the search request to save it for further usage. Smart Inbox in Spark sorts emails from connected mailboxes based on content, read/unread status. New emails are displayed separately from the rest and are available at the top. When it's read it goes to the bottom section of Smart Inbox. They are grouped into Personal emails, Notifications and Newsletters . All — get a notification for every incoming message. Smart — mutes strangers and automated emails. No notifications — no notifications will be sent. 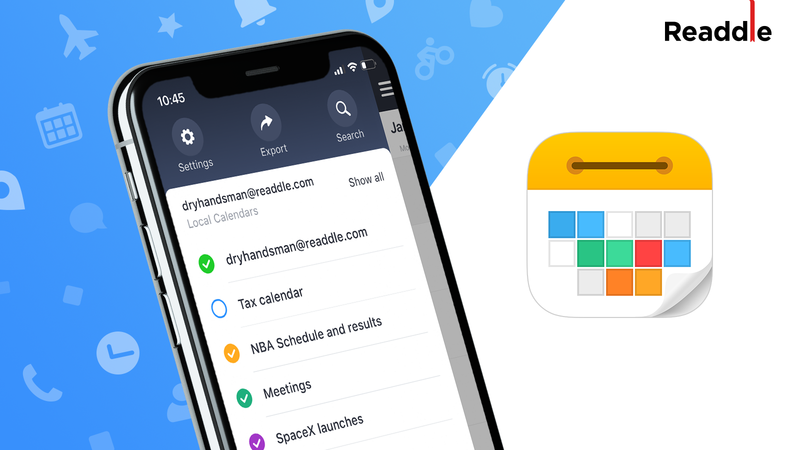 Smart Notifications is an exclusive feature in Spark, with this setting you won't be disturbed by notifications about emails from strangers, newsletters or notifications from social media, etc. 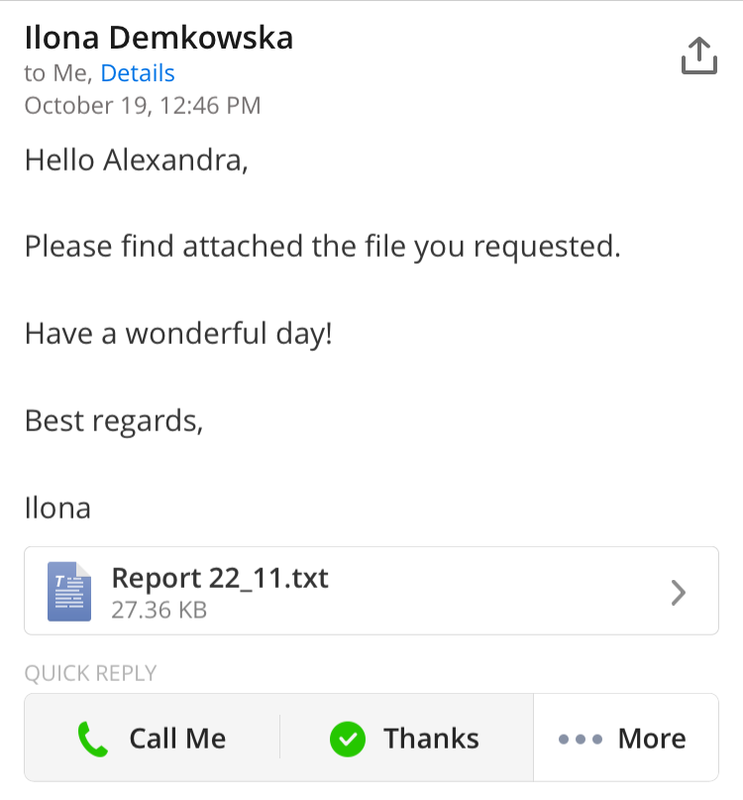 All the contacts that received replies from you are considered to be important, and you will receive push notifications about new emails from such contacts. Also, you can mark a contact as important: just open any email from this contact's email address, choose Details and tap on the bell icon . Sometimes you just need to send a quick reply to an email. Something to say you've read it and like what you've read. 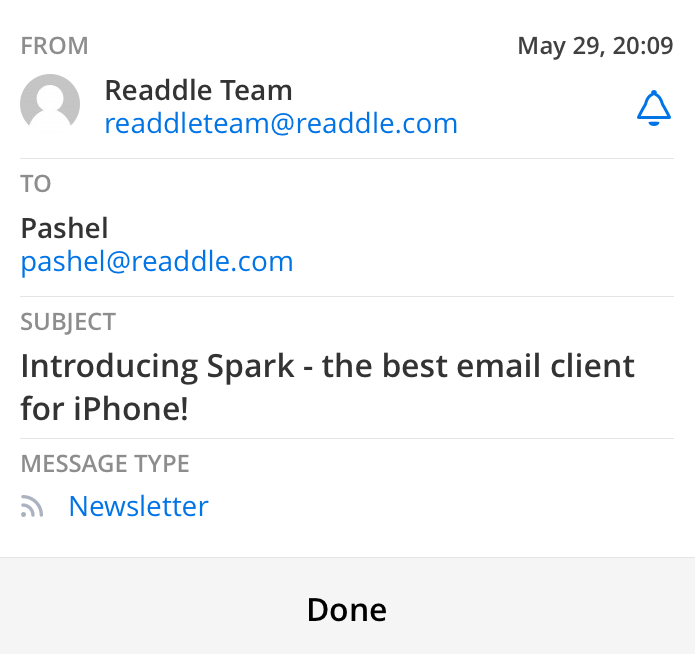 With Spark, you can send Quick replies with just a tap, at the bottom of any email. Now get Spark in the AppStore and make sure that the world and your greatest achievements are outside your inbox.